Pizza. It’s not a taco. It is with peace and love that I say this. Now, before I say it, I need to stress that I do love both establishments as bars. I will still hang out in said establishments because of the awesome environment, great beer and bourbon selections, and the close proximity of my home and work. I’ve come to the conclusion, after a lifetime of consuming, that I do not care for New York-style pizza. I don’t want a pizza I can fold in half. I want either a thick pie with loads of cheese, or a crisp cracker-thin crust that I eat square by square. So I’m talking to you, The Post and Butchertown Pizza Hall. 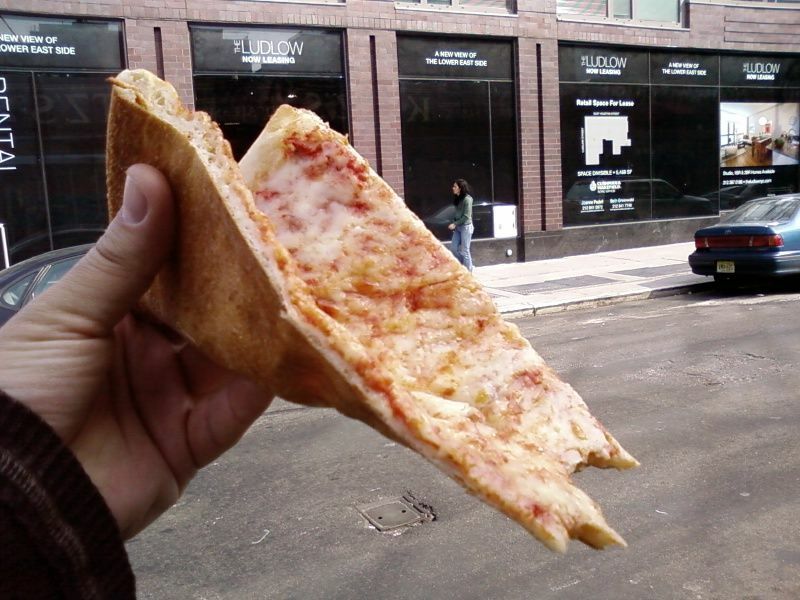 I know this is going to put me into the minority in this town, but I just don’t feel satisfied after one of your slices, no matter what I put on top. Does this mean I will stop eating at these places? Probably not. I love a $3 meal as much as the next guy. I’m just saying — with peace and love — that I prefer Chicago- and Detroit-style pizza over a flimsy piece of dough that sags when you pick it up. Again, I love cheese, and lots of it. I’ve noticed that many times, the New York-style pizza skimps on the mozzarella. Well, that wasn’t as scary as I anticipated. And again, I will continue to hang out at these places because they’re cool. I might just try something else off the menu next time.